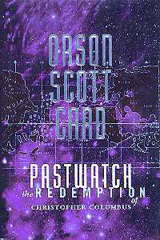 I was about 13 years old when I read Orson Scot Card’s Pastwatch: The Redemption of Christopher Columbus. The title might make you think its some pro-colonization read, but its actually a pulpy blend of science fiction and alternate history. If memory serves me right, I read it straight through in one sitting. I was not particularly interested in the characters, or the story, or the world, I was interested in the counter-factual questions the book asked. As I write this today, I remain uninterested in the book’s literary merits and I want to be clear that I am in no way endorsing the politics and activism of the author. I am interested, however, in exploring how the book invited the 13-year-old me, already primed on Sid Mier’s Civilization, Age of Empires, and Sim City, to think about and “play” with the past. Pastwatch exemplifies the same kind of historical model building and simulation playing as those games. However, Pastwatch is of particular interest as it exemplifies those characteristics not as a game or simulation, but as a book. This is the first of four posts about features of the book: Each post will recap a bit of the story and comment on the value it provides for thinking about the past. The fourth and final post will attempt to sum this all up and forward some provocative claims about the value of alternate history and counter-factual historical thought. Before I go any further I should throw up a Big bold spoiler alert. I am not going to attempt to tiptoe around the story in these posts. The book begins in the 23rd century. After a century of war and plagues, the world’s population has dropped to less than 700 million. It is an era of peace and reconciliation. Peoples of the world have banded together to restore a ecologically devastated earth. 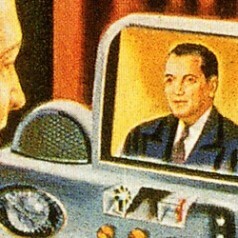 They have developed a device that lets them see the faces and hear the voices of the dead. 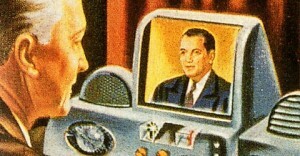 The TrueView II is like a TV that lets you watch the past. You dial up the date and the place, pan around and watch history unfold. An international organization called Pastwatch has a team of, I guess what one would call historians, using these machines to explore the past. One of the Pastwatchers makes a startling discovery. Christopher Columbus was clearly visited by a trinity of glowing thingies that told him he should not go on the crusade to retake Constantinople (as he had been planning) and should instead gather ships and go in the opposite direction, across the ocean. The Pastwatchers realize that this was not proof of a Christian god, but instead that they were witnessing a trace of a previous future’s success at altering the past: Through research they are able to deduce that individuals in the original future of earth had interceded to change the past. 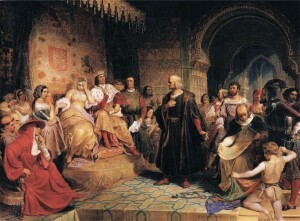 Some future civilization had developed a way to interact with the past, impersonate a god, and convince Columbus to sail west. History is widely presented and understood as a somewhat inevitable chain of events. 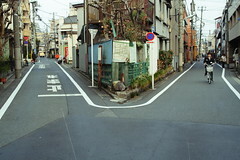 This “feeling” of inevitability makes sense, as reality only allows the existence of one past. However, the past is full of strange coincidences. The past is full of small moments where everything could have turned out differently. The thought experiment which this book provides, of taking a pivotal moment in history, and casting it as a circumstance where the past had been altered, gets us to think about just how strange and contingent the past is. This plot device underscores that the past is only inevitable in hindsight. Historians must continually fight the urge to read their own ways of thinking about the past into the past. Suggesting that our own history, the history we know, is a nifty trick for making the past into a strange and possibility filled world.